At first I have to apologize and warn you, that photos during this hike were taken only with mobile phone, as the batteries in my camera were unfortunately discharged. They were probably too old and their capacity was after few years of usage already low. 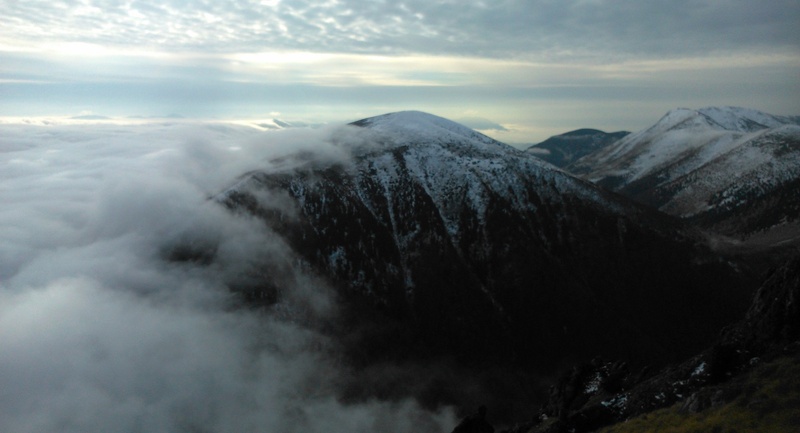 We undertook this hike at the beginning of December 2014. 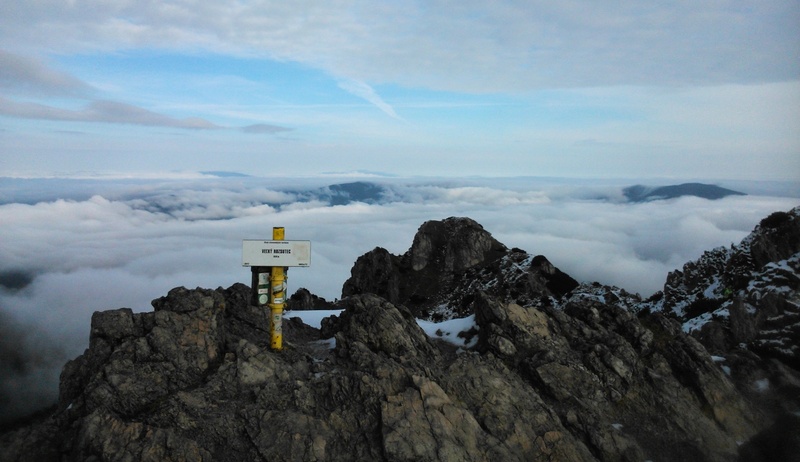 It was my idea to hike up to the Veľký Rozsutec (Great Rozsutec, 1 609 m. a.s.l. 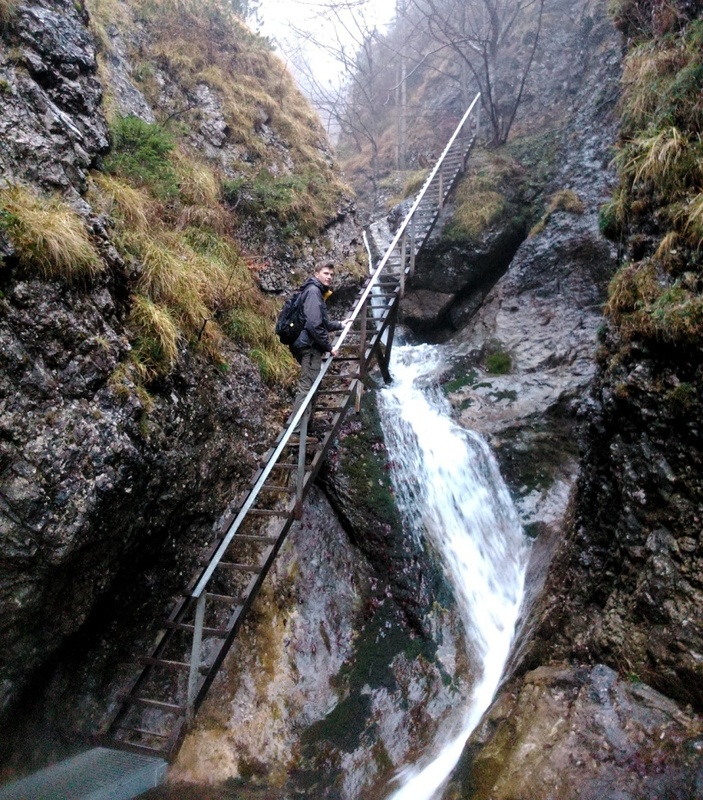 ), situated in Mala Fatra mountains, but the day before trip I was trying to persuade my brother to rather stay at home. It was caused by the weather. 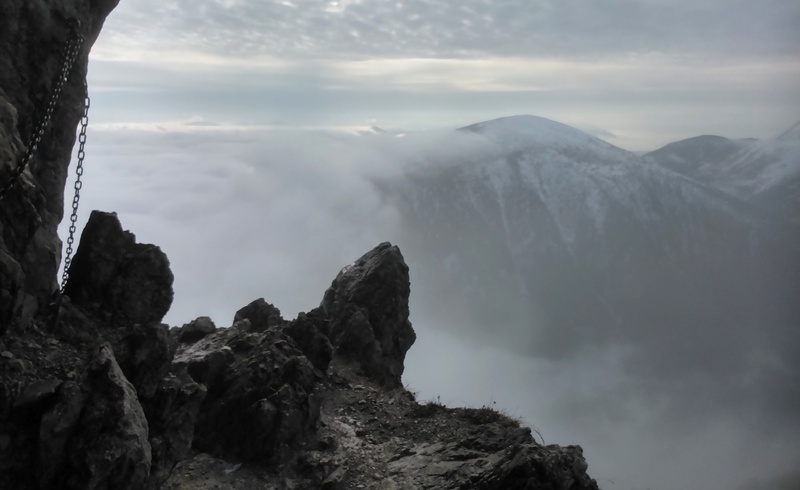 I´m a meteo sensitive person and the weather that day was awful (foggy and rainy), but the weather forecast for the next day was saying, that in the mountains weather is going to be suitable for hiking. We made a deal, that we will decide in the morning whether going or not, when we will see how the weather looks like. At 5:00 am a message from my brother woke me up, in which was written “Get up, the sky is bright.” I looked out of the window and saw the stars and shiny moon. I jumped up off the bed and immediately forgot, how lazy I was yesterday. 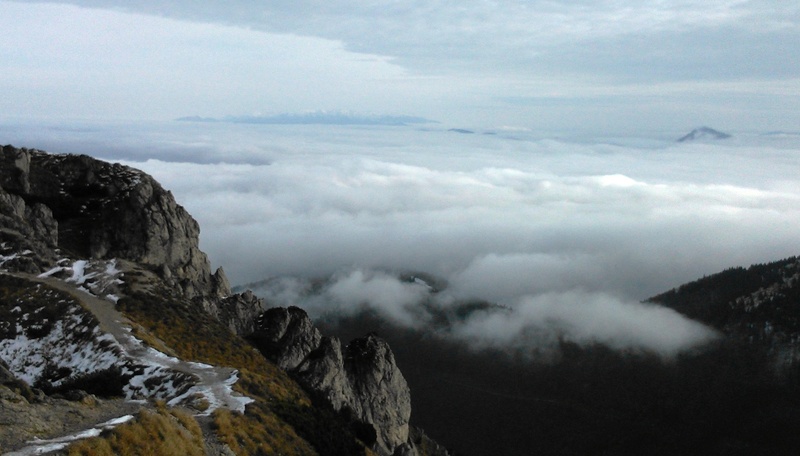 Our goal was the peak Rozsutec situated in the mountain range Small Fatra (Mala Fatra). There are numerous ways how to reach its top. We set off from Biely Potok. It is a part of bigger village Terchová (the hometown of Slovak national hero – Jánošík). At first we walked the blue trail until we reached Sedlo Medzirozsutce (Medzirozsutce saddle) and then we walked the red trail to the top. 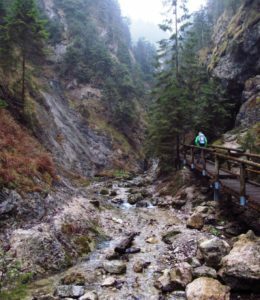 You will spend a long part of the hike walking through the narrow rocky canyon, with a lot of waterfalls, called Jánošikové diery, which was formed only by water cutting through rock over thousands of years. 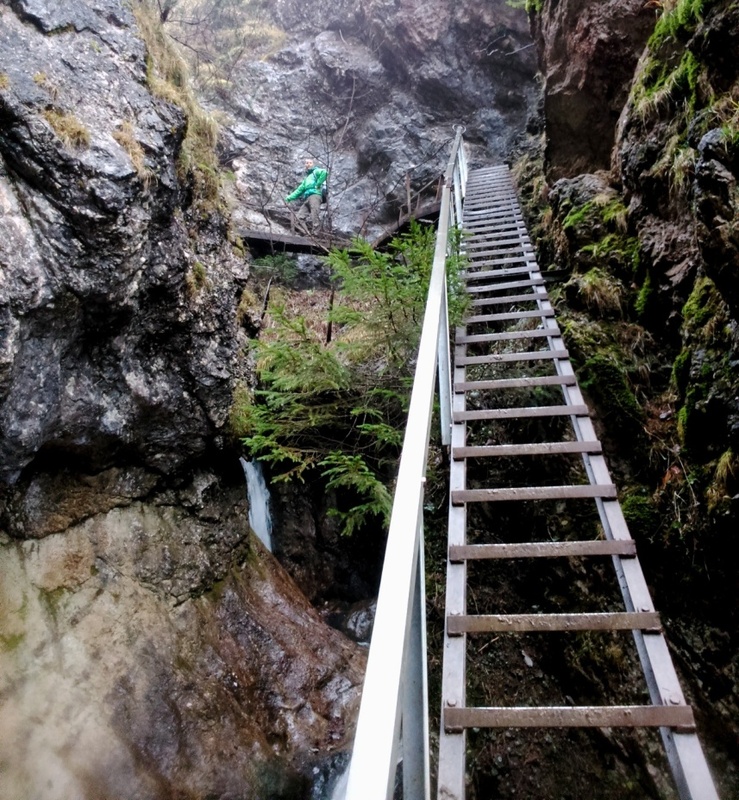 Going through this canyon would be almost impossible without many ladders and chains. The hike to Veľký Rozsutec belongs to the most beautiful in Slovakia. Therefore, in summer you must count with a lot of tourists and hikers at this trail. In December, we were almost alone. Our only guide was the fog, who left us just before the peak, allowing us to enjoy amazing views at flowing and rolling clouds. Luckily, the snow cover in December wasn´t too deep. Otherwise we would have needed at least crampons to get to the top, because the last stage of the ascent is dangerous even in the summer.